From the thorough inspections and working analysis on initial takeover of a property, to the detailed monthly reports to owners, all of our activities mesh into a program of both short and long term planning for the property. Upon gaining a full understanding of the client’s ownership goals, we develop and recommend a management plan designed to achieve these goals. The objectives of planning are to maximize the return to the owner and enhance the value of the asset. The benefits of careful planning and budgeting cannot be over emphasized. Planning and budgeting establishes objectives, eliminates surprises, provides for sound fiscal control and protects your investment. There is no substitute for careful planning. Performing regular inspections of the property. Made by members of our staff experienced in the supervision of property and, where necessary, by experts in appropriate technical fields. Preventive maintenance is the key! Careful specification and supervision of maintenance. All work necessary to effect major repairs or improvements is put to tender, quotes being obtained from three firms known to be reliable in the trade. An authorization for expenditures above any sum which, the owner may set, will be obtained (except for emergencies). Purchasing of goods and services at optimum prices and passing discounts on to the property owners. All purchases are strictly monitored through the use of a purchase order system. Owner’s benefit because of our ability to get the lowest price in the purchasing of maintenance supplies and a broad range of services. Recruiting/Training/Supervision of on-site employees, if applicable. We are responsible for the selection, hiring, training and supervision of building staff. We prepare and constantly review job descriptions and work schedules. Through our reputation and many business contacts, we are able to staff the properties we manage with competent personnel. We provide for the collection of all income generated by the property. Additional forms of income are researched and presented to owners for consideration, such as phone service, vending machines and guest laundry services. Providing detailed monthly financial reports. The financial services provided by Mancuso Property Management are founded on modern computer technology. This allows us to maintain superior record keeping and provide accurate reporting to property owners. Our three major areas of responsibility for real estate management. Opening the property bank/trust account. Recommending an operating budget and management plan. Invoicing for all rent/assessments due, including common area maintenance charges, insurance, percentage rent, administrative expenses and late penalties. Following-up on delinquent accounts and, if necessary, initiating legal action for curing defaults. Preparing monthly financial statements of income and expense. Paying wages and determining tax withholding. Hiring, training, and supervising staff. Scheduling of weekly, monthly, and all other regular maintenance. Implementing strategic preventive maintenance and repair. Providing for irregular and emergency maintenance and repair. Supervising the work of contractors. Tenant selection and lease negotiation. 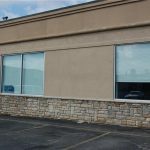 Supervision and installation of tenant improvements. Reviewing and assisting with the placement of insurance. Assisting in developing and enforcing rules. Researching property improvement programs for discussion with property owners. 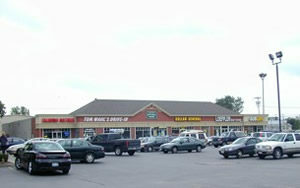 30,000 square foot retail strip center. MRE oversaw the conversion from grocery-anchored center to retail use from conception to completion. MRE successfully turned over to Owner/Landlord the 100% completed project and a 0% vacancy rate at contracts end. 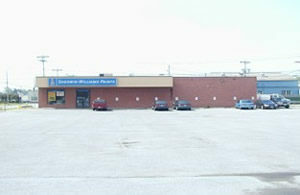 4,000 square foot free-standing Sherwin Williams retail location. MRE provided this location as a design build for the client. 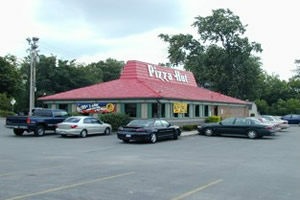 3,000 square foot out-parcel restaurant. CMS provided this location as a design build for the client. 15,000 square foot professional office complex anchored by Horizon Health Services. 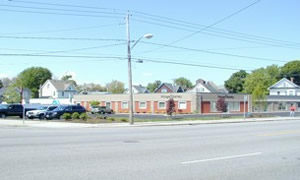 Mancuso Real Estate oversaw the conversion from warehouse to office use from conception to completion. 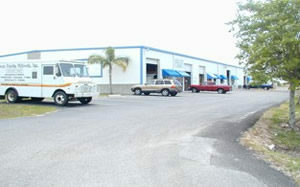 30,000 square foot light industrial complex. MRE provided this location as a design build for the client.